It is holiday time in Punta Gorda, Florida & there are SO many activities to attend!! 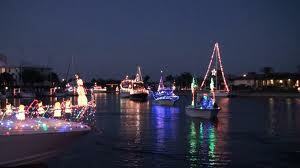 The lighted boat parades are a sight not to be missed! The first parade is THIS SUNDAY on December 16th. This will be the 23rd Annual Boat Parade and will set sail at 6pm! With the support and partnership of Fishermen’s Village, this year is to be even bigger and better than ever! The parade brings huge crowds, so be sure to find your spot to view the parade and get there early! The best places to see the parade from are Edgewater Lake, Fisherman’s Village, the bridges of US 41, & Laishley Park. The next Punta Gorda Boat Parade always takes place the Saturday Night before Christmas Eve (this year’s will be on December 22nd). This year will be the 12th year of this close and personal boat parade where there is direct interaction between the boat crews and the spectators. The entire parade takes place in the protected waters of the Punta Gorda Isles canal system & they proclaim to have more total participation than any other lighted boat parade on the Gulf Coast! 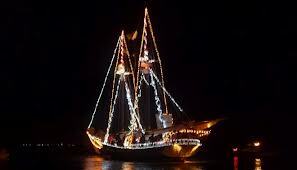 Many boats will have performances and carolers….you are encouraged to bring noisemakers, tambourines and sleigh bells, so you can make a joyous noise too!! Get in the Holiday Spirit & join us in Punta Gorda Florida for one or both of these events!! You will be so happy you did!! 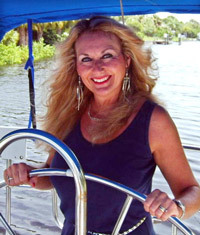 If you have interest in property in the Punta Gorda, Florida area, please click on Real Estate for sale in Punta Gorda. For more information about real estate in Punta Gorda, Florida contact Your Suncoasteam @ 941-626-0744 or debra@suncoasteam.com.